Two chicken farms, which the eThekwini Municipality bought to enable black farmer development, have been left to go to ruin, according to recent reports. Rainbow Chickens sold the farms in 2017 after having to cut production as a direct consequence of trade dumping. eThekwini Municipality bought the farms to enable black farmers, but failed. 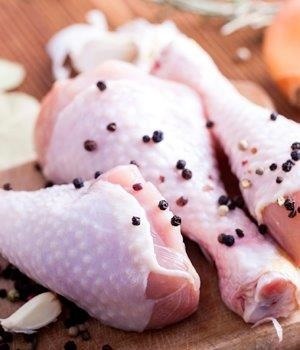 eThekwini Municipiality spent some R15m on Uitkomst and Doornrug farms in Cato Ridge, which they acquired two years ago from what was then known as Rainbow Chicken – now RCL Foods Limited. At the time of sale, over 1 300 workers lost their jobs. Today, the farms lie derelict. These desolate farms testify that the government’s trade policy is tripping up its own development goals, due to unchecked predatory trade. The seed of failure is planted by South African trade and agriculture policy; and a failure to act in time to level the playing field for local producers against foreign government-supported producers. While one part of the SA government is trying to enable black farmers, other parts are allowing Brazil to kill the very market into which these emerging farmers hope to sell their product. The municipality wanted to save jobs and empower black chicken farmers, but failed – which is sadly inevitable in an environment where local producers must comply with stricter rules than the foreign producers who are aiming to dominate this market. Predatory trade is devastating the local market: chicken imports have already cornered around 24% of the market; a bigger market share that even the biggest single producer in South Africa. And Brazil, by the latest figures, account for 61% of those imports. What is even worse, it might even be a safety risk for local consumers, given how many countries have banned Brazilian chicken due to food safety concerns in recent months. FairPlay believes that the remedy is threefold. Firstly, there should be an immediate ban on Brazilian chicken until experts from the South African government have determined the safety of Brazilian meat products. Secondly, government should institute an appropriate tariff to level the playing field for local producers. Thirdly, implement strict monitoring and inspection regimes at source to ensure all frozen chicken that enters our ports is 100% safe. The eThekwini Municipality farms are very unlikely ever to get back into chicken production; certainly not while dumping persists. The South African government must decide whether it wants development for local black chicken farmers, or to appease Brazil at the cost of local industry, jobs and development. Baird is the founder of the FairPlay anti-dumping movement. Views expressed are his own.